The festival with a 300-year history is to pray for a good harvest of the year. 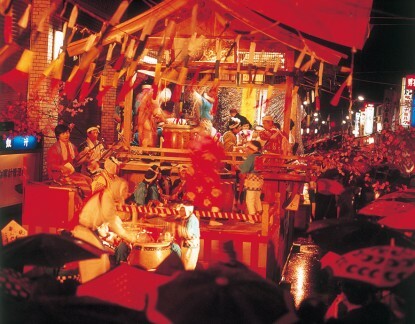 Local performing arts to the tune of Japanese music and drumming are demonstrated on a dozen of Yagura (wooden high stages) in the city. Dondo-yaki, setting fire to New Year’s decorations and ornaments, is scheduled on the river bank of the Kuzuryu River. Tatekawa-ku, Yoshino-ku, Sawa-ku, Motomachi 2 chome-ku and etc.